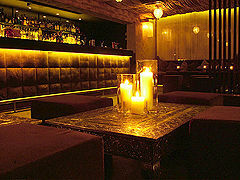 The newly refurbished Rumi is a Cocktail lounge situated in the heart of the Kings Road's buzzing nightlife. 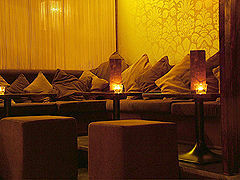 Rumi provides a welcoming, mellow space in which you can taste the lusciously fresh, modern and classic Cocktails, the relaxing candle-lit tables, the abundantly cushioned sofas, or the compelling dance floor, and everything in between. Hosting great private parties, corporate events, providing the best DJ's and creating the best ambience is essential for us at Rumi. Whether it's your birthday or a formal corporate event, Rumi will astound you with the level of service we provide and with the varied selection of drinks from: Vintage Champagne to Classic Cocktails and authentic Lebanese canapé. Experienced, well-groomed bar staff mix classic and modern cocktails, and pour fine wines throughout the evening. Choose a Cocktail from the exclusive menu or test the bartender's knowledge! Be looked after, meet interesting and beautiful people, enjoy the music and experience an atmosphere that is unique in these parts. Please also visit our new Website www.rumibar.com for further information.